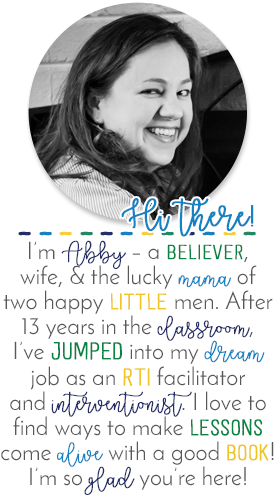 I'm linking up with the amazing Jen at The Teacher's Cauldron to share some of my favorite Thanksgiving books with you! I love to find books that will give my kids and I a good giggle, and 2 of my all-time favorite laugh-out-loud funny books are in my Thanksgiving tub! Seriously. These books are must-reads in our classroom every year. We've been working with The Ugly Pumpkin all week long! You can check out this post to see how I've used it in the past. Last week, we started using my new unit to dig a little deeper! After a looking at character traits for a couple of weeks, my kids were starting to confuse a character's actions with their traits. We stopped and spent a day on just the character's actions. Then we built on the character's motivation, and on the 3rd day we added character traits back in. It was magical! My kids will continue to work on it this week as well. I LOVE that I can use this book all month long! 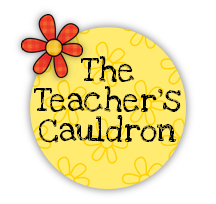 Don't forget to check out the other posts on favorite Thanksgiving read-alouds at The Teacher's Cauldron! Don't forget about the 3rd and 4th grade amazing Educents deal going on right now too!